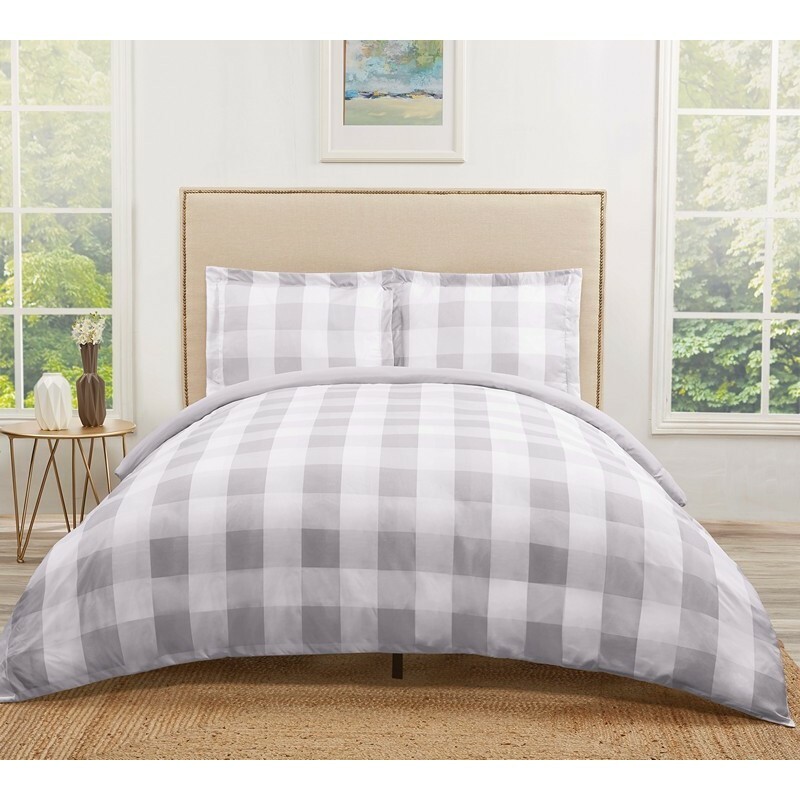 This large buffalo check print features a white background and grey intersecting pattern on the face of the duvet and shams. This large buffalo check print features a white background and grey intersecting pattern on the face of the duvet. The reverse is a solid color gray. The duvet and shams feature a brushed 100% microfiber polyester Truly Soft fabric with special finishes to make this the ultimate in softness. Each duvet set comes with a duvet cover (insert is not included and needs to be purchased separately. Shams require inserts that must be purchased separately. This item can be machine washed but please be sure to use properly sized machinery to care for the item.